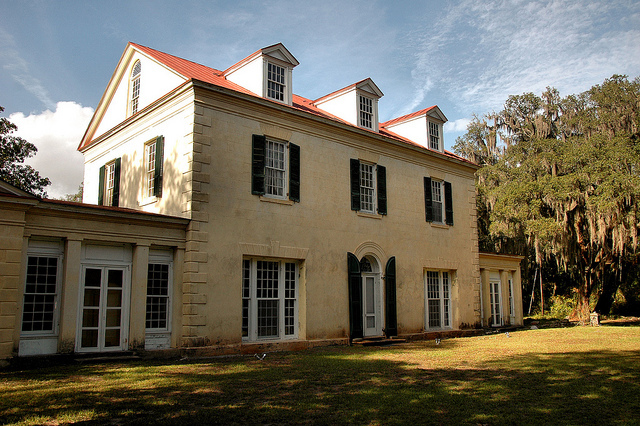 Now known as The Ashantilly Center, a non-profit educational and cultural historic site, the focal point of this property is “Old Tabby”, which was the mainland home of early Georgia planter and legislator Thomas Spalding. 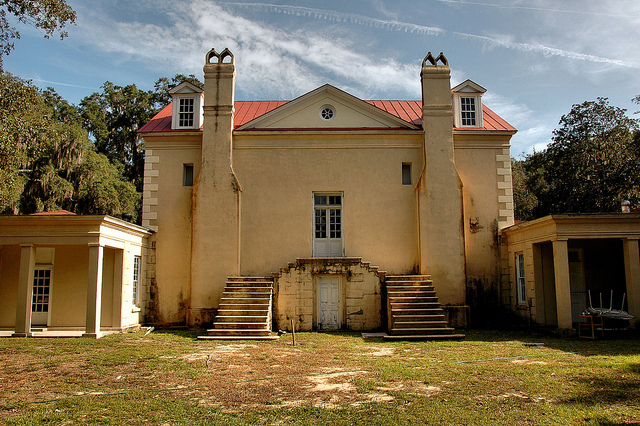 Originally built around 1820, the home burned in 1937. The present structure was built by William G. (Bill) Haynes, Jr., incorporating what remained of the original structure. I made these photographs in 2011 at the invitation of Harriet Langford, Ashantilly’s most ardent advocate and chairman of its board of directors. 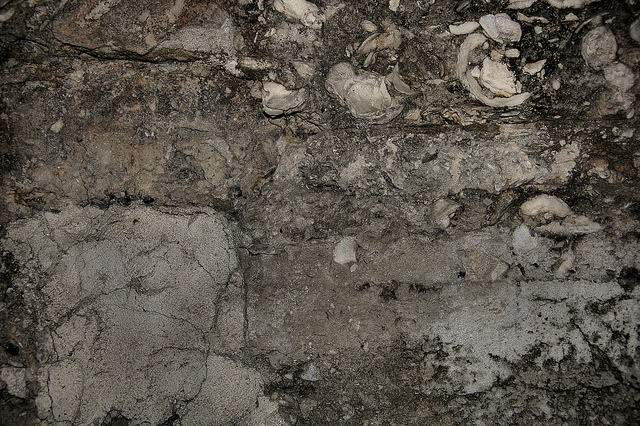 This is a section of the original tabby. Bill Haynes worked hard to preserve the historical integrity of the property, though additions were necessary to make the house livable. 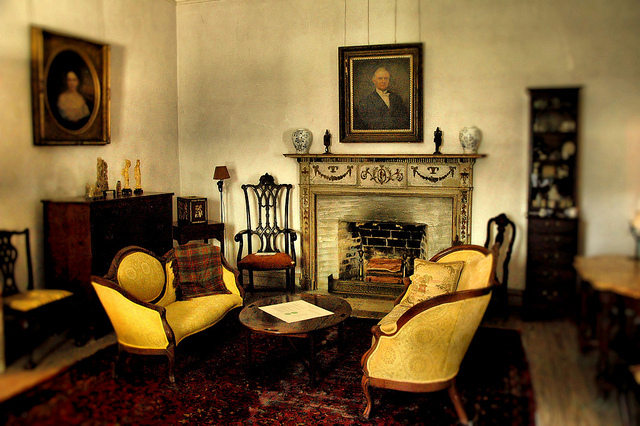 Period furniture collected by Haynes over the years can be seen in the parlor and in other areas of the house, like the dining room, seen below. Bill Haynes was a man of many talents. 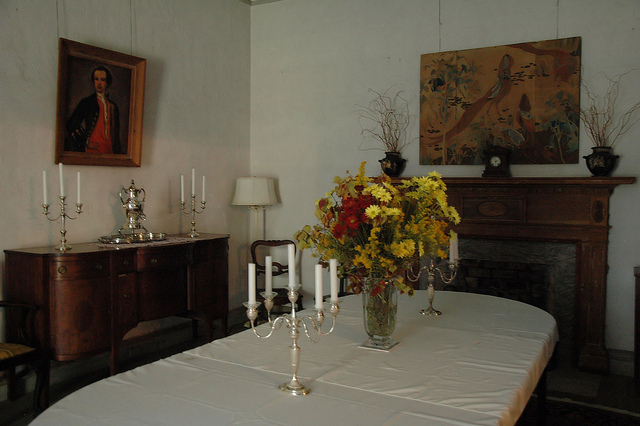 He made the oil painting below in which Old Tabby can faintly be seen in the background, as it appeared before the fire of 1937. 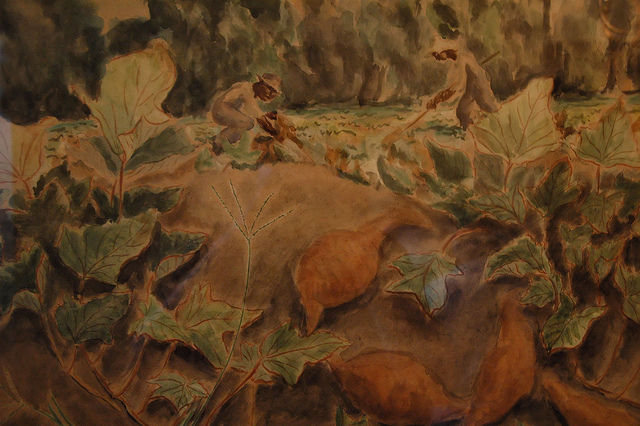 His interest in Southern subjects is evident in this watercolor of a sweet potato harvest. 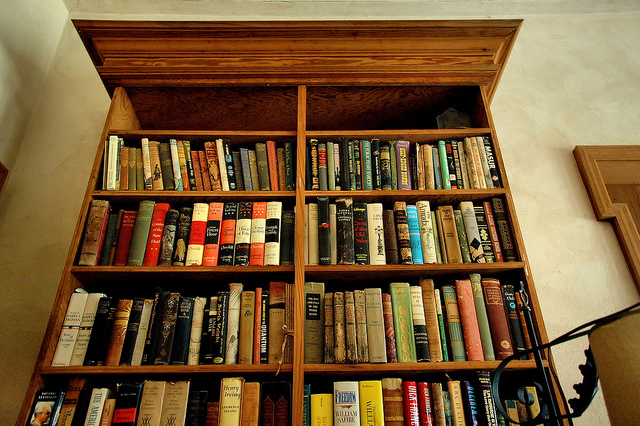 An avid bibliophile, Haynes’s collection fills library shelves throughout the house. 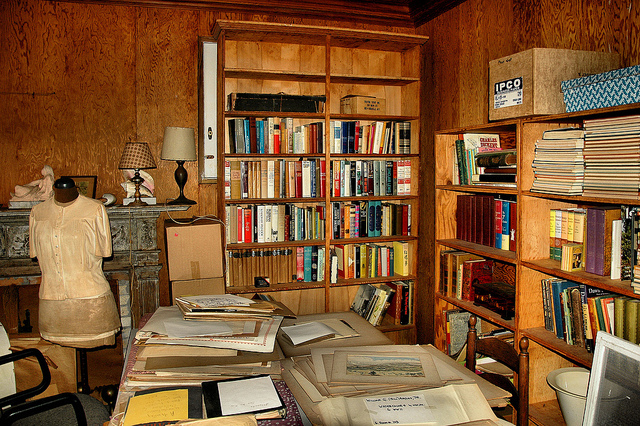 The attic served as a workshop for Haynes. It’s presently being cataloged and organized. 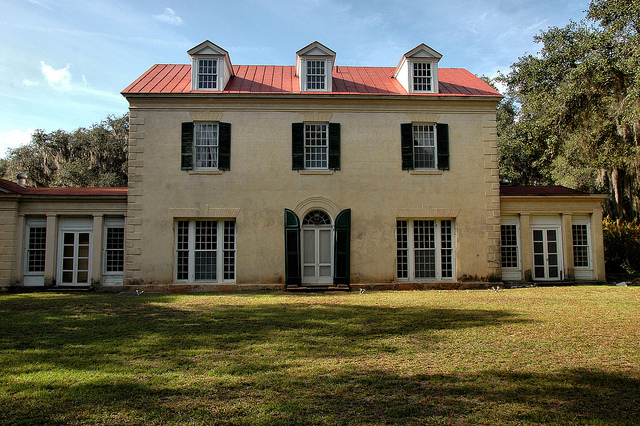 Because the house faces Black Island Creek, the rear elevation is what many people see first. Mr Spalding must have been a slave owner. Was this a plantation at one time? Mr. Spalding had lots of slaves, yes. Most were involved in the production of crops on his island-based properties.